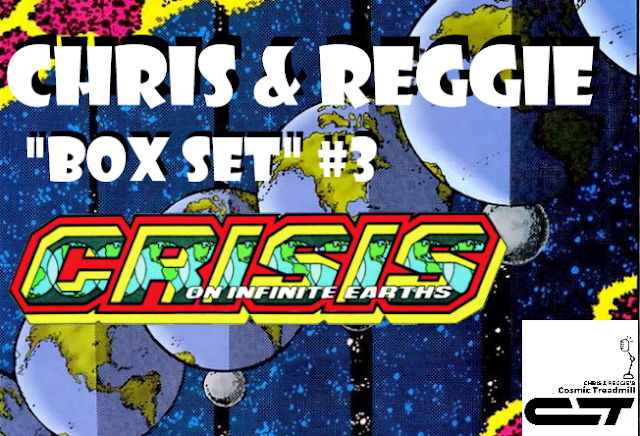 Welcome to our third "box set" collection... collecting out Five-Part (very) long-form discussion on one of DC Comics' biggest and grandest events... as well as our Weird Comics History look into the pre-Crisis DC Multiverse! If you have say... a twelve-hour drive ahead of you, and you're looking for some company... this is the "box set" for you! If you're interested in seeing every (to our knowledge) pre-Crisis appearance of the Monitor... we collected them, right here! Greetings, pulpophiles! 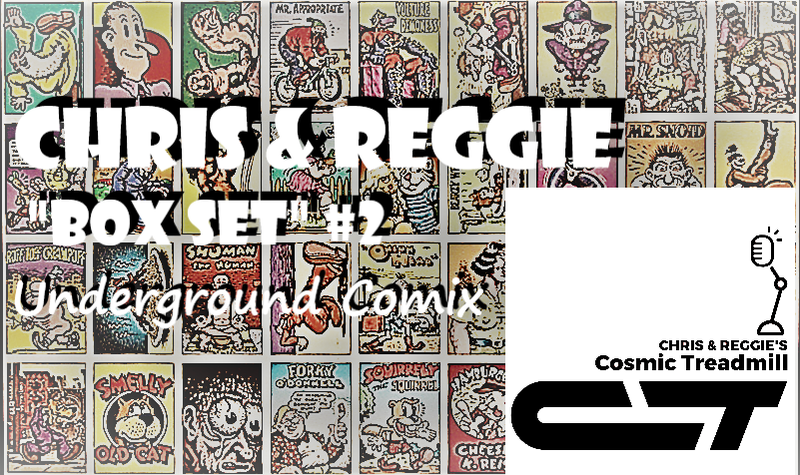 In this episode, Chris (@AceComics) and Reggie (@reggiereggie) step back into the "between pages" of comic books, known as Classic Comic Book Advertisements, the Return! First, they'll detail the history and innovations of GRIT magazine, despite never having seen a copy. Then, they discuss Joe Orlando and his unforgettable ad for Sea Monkeys, as well as the dark secret behind these "instant" aquatic life forms...and it's not that they aren't monkeys. 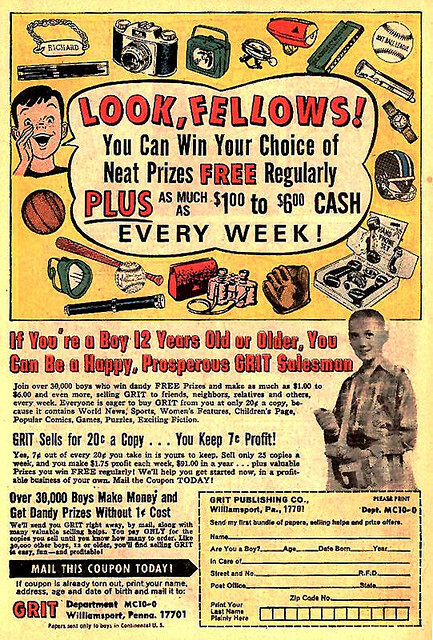 Finally, the impressionable hosts talk about two-dimensional toy soldiers, the ads that enticed them, and the man who drew two of the most memorable ones, Russ Heath! It's an episode jam-packed with commercialism, and you won't even have to pay C.O.D. Good evening, riders! 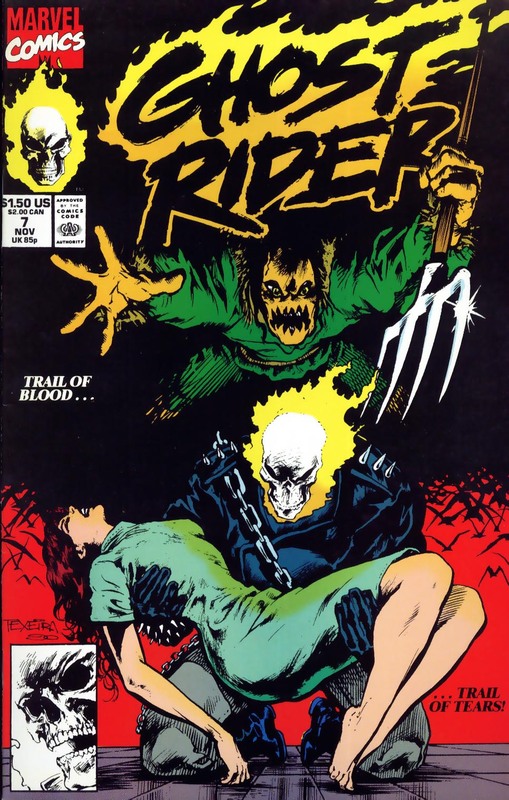 In this episode, agents of vengeance Chris (@AceComics) and Reggie (@reggiereggie) check out a listener-requested comic published by Marvel Comics in 1990--Ghost Rider #7 by Howard Mackie and Mark Texeira! After the usual biographical information and a little background about the skull-faced biker himself, they dive right into the issue which includes Marvel Comics' version of Scarecrow. Then, they wrap up the story of Mr. Mackie and talk about some other characters of the Big Two that share the same name. It's more fun than hanging out on a Brooklyn rooftop, you don't want to miss it! 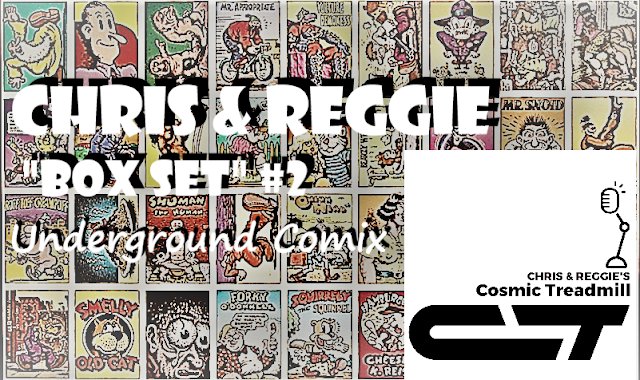 Welcome to our second "Box Set" collection... collecting, our long form discussion on the history and impact of Underground Comix. Included are Weird Comics History, Episodes 12, 13, 14, & 16. 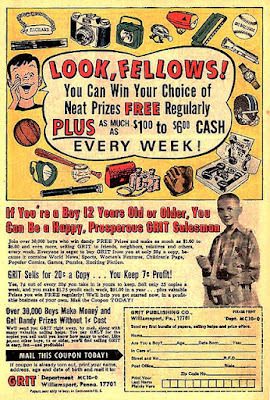 Salutations, dusty-fingered listeners! 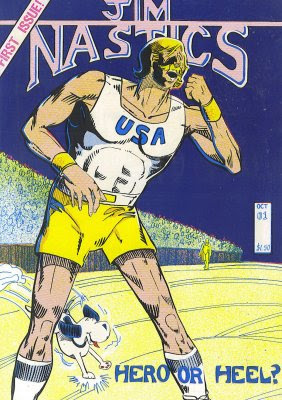 In this episode, cheapos Chris (@AceComics) and Reggie (@reggiereggie) sift through the back of the quarter bin to bring you some independent entertainment on a budget: Redstone Comics' Jim Nastics #1, by Bill Mitchell and Alan Larsen, from 1984! After as much biographical information as could be found, and a look at the conditions that allowed this comic book to exist, they go through every page of this tense, Cold War-era drama. 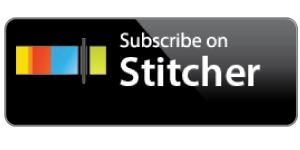 Then, our bouncing heroes turn the show over to our listeners, as they read YOUR keen finds in the darkened undertables of comic shops around the world. It's an episode so precious, you'll want to bag and board it! In an attempt to make navigating the show's humble home a bit easier (and quicker! ), we've decided to collect our long-form series' into "box set" posts. For our first "Box Set", we are including our first five-part series... which coincidentally took place over our first five episodes! Greetings and Merry Christmas...in March? This week, Chris (@AceComics) and Reggie (@reggiereggie) dust off a "lost script" from last year and read Robert Loren Fleming and Keith Giffen's Ambush Bug Stocking Stuffer #1, published by DC Comics in 1986! 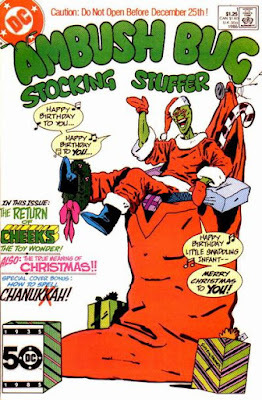 After some information about the creators, our holiday cheerists dive into all forty pages of this comic. Then, after a vocal break, they'll describe every appearance of Ambush Bug, and a controversy that wound up shelving the character for more than fifteen years! This episode is like opening the biggest present on Christmas morn, only to find it full of spring-loaded snakes! Cosmic Treadmill ep. 80 - Batman: Digital Justice (1990) w/ Bob Rozakis! Power on, comics enthusiasts! 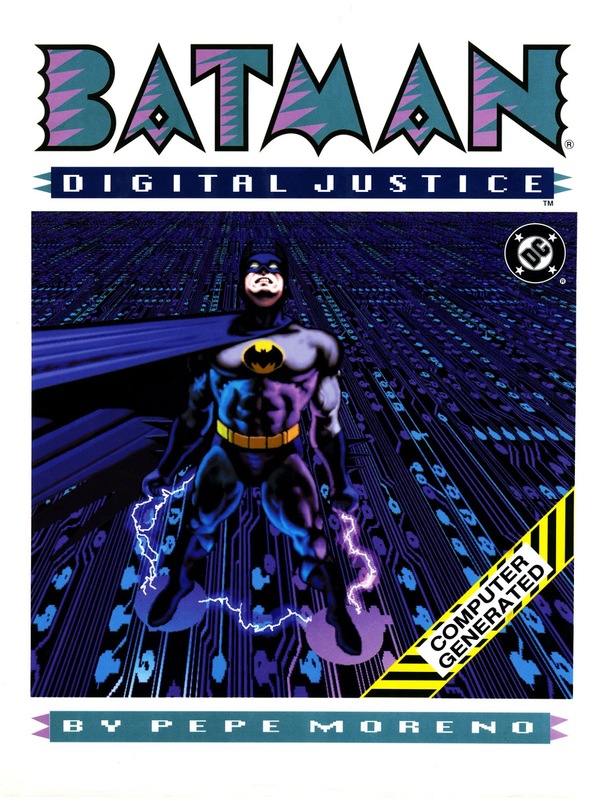 In this episode, Chris (@AceComics) and Reggie (@reggiereggie) trip the LED light fantastic when they read the first all computer generated comic book, Pepe Merino's Batman: Digital Justice from 1990! After some biographical information and a quick aside about the first computer drawn comic book, our 'net-surfin' duo delve into this four chapter story of a dystopian future controlled by machines. Then, they talk about the manufacturing processes of comic books through the years, as a segue to an interview with one-time Production Director and comics creator, Bob Rozakis! It's more episode than could be contained on a CD-ROM, so sit back and enjoy the tale!